Getting to the Crystal Lake Ski Center is half the fun, so said the brochure I picked up when I paid the $15.00 ticket to use the trails for the day. It’s true, when you first pull off of the main road and see the sign that says “Crystal Lake Ski Center 7 miles away”, you follow a winding dirt and snow covered road up and down the side of a mountain-I was pretty sure I was actually lost when I finally came to the main “Camp Crystal Lake” sign. They are right though, it is half the fun-I’m of the mindset that a ski vacation, even just a daytrip, needs a little bit of adventure to get to. 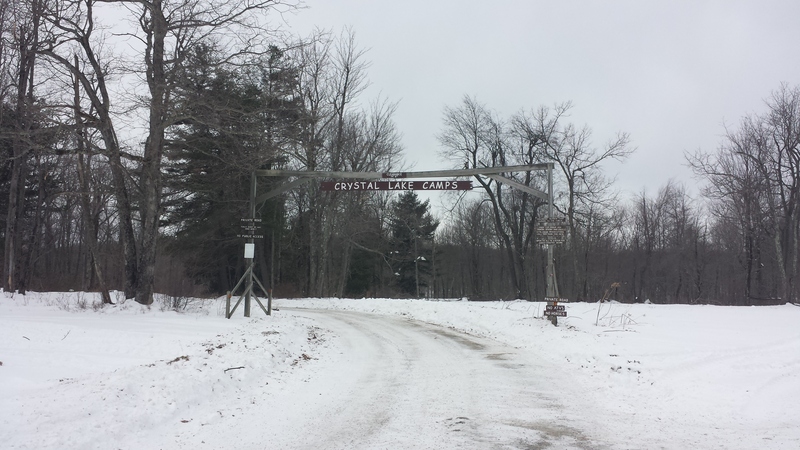 I first heard of Crystal Lake Ski Center a couple of years ago when I was living in Lancaster, and somehow during random internet wanderings came across this article in Cross Country Magazine. 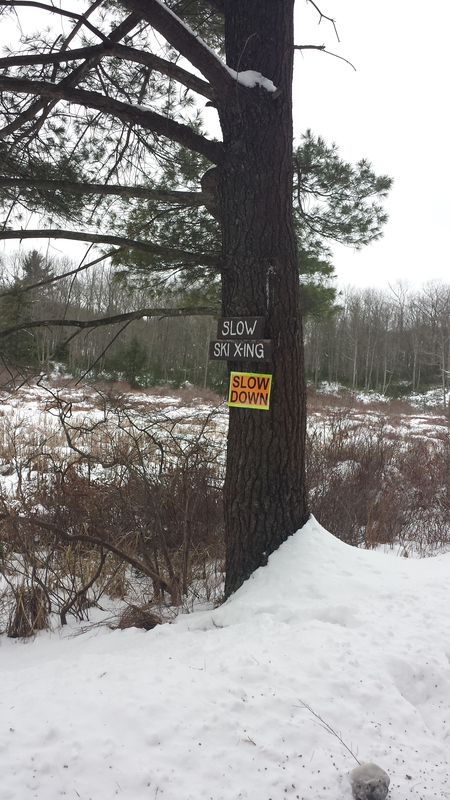 The article promised a 30 kilometer trail system, and hoardes of XC ski enthusiasts, including Olympic hopefuls and former professional athletes. 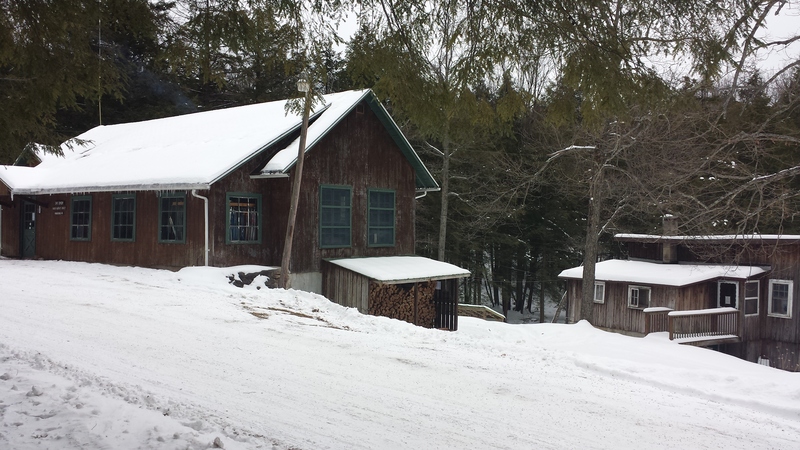 I also learned that the center started as a small downhill ski resort in 1971, but soon branched off to cross country skiing on the old logging trails that criss-crossed the mountain. It was back in the late 70’s that my mother, who was living in Muncy at the time-her first real post college job-visited and tried cross country skiing herself. You could make the argument that Crystal Lake might indeed be responsible for my love, of what too many people deem an obscure sport. 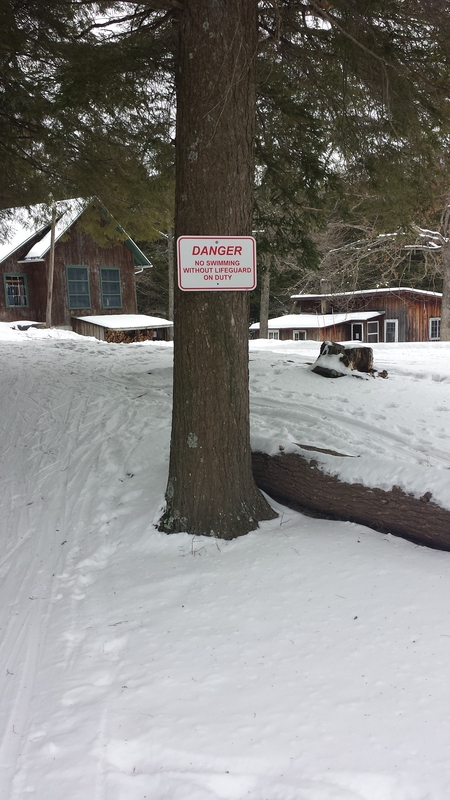 This is where you could rent skis, find your map, or grab some lunch. I was initially supposed to visit my cousin, who’s currently working in Lancaster, last Thursday and since he works till four, was looking to do something during the day, and decided to finally pay Crystal Lake a visit, since we finally have a solid layer of snow. Work obligations caused him to cancel at the last minute, but I figured I might as well still go through with the first part of my trip. 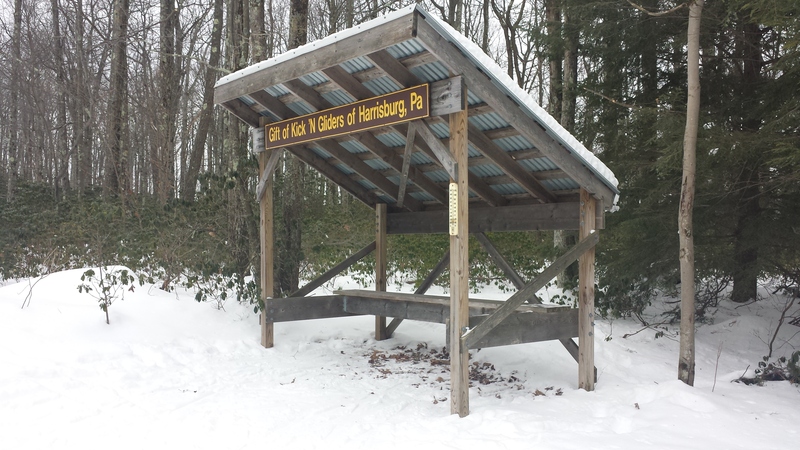 From NEPA, it’s about an hour and a half ride, and I imagine it’s just as easily accessible from Lancaster, Philly, the Lehigh Valley or State College. The venue is open from 9-5:30, although they caution you to call if you’re visiting during the week-I actually just sent them a message on Facebook two nights prior, and was answered within the hour confirming they’d be good to go, which was very cool. Not packed, but more crowded than I was expecting. 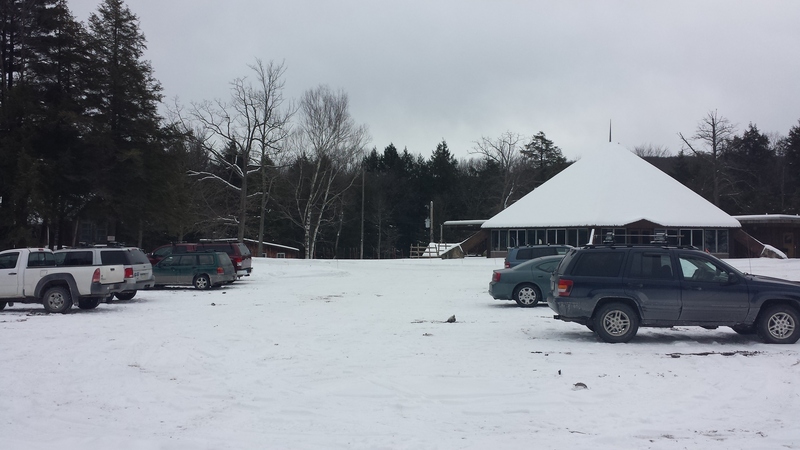 While there certainly were not hoards of people waiting to XC ski at 10:00am on a Thursday morning, I was surprised by how many other people were there. 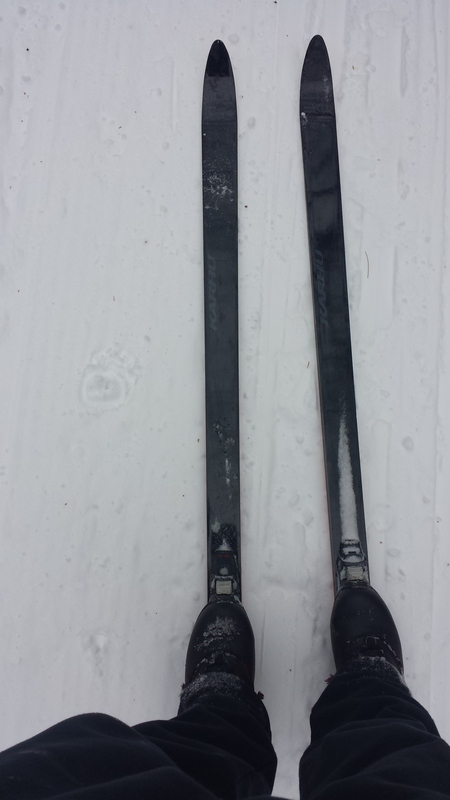 You could bring your own skis and pay a trail fee as I did, rent skis, or even take lessons. 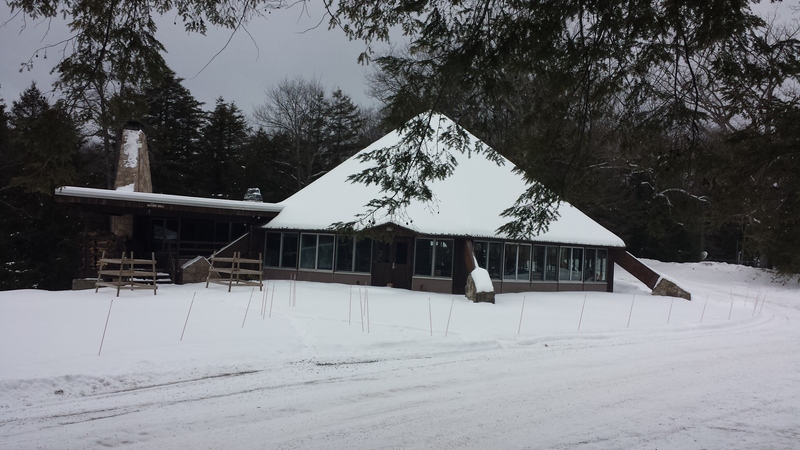 Crystal Lake also does special events such as night skis and skate ski lessons, so make sure to check their very active Facebook page to see what’s going on. There’s two main structures near the Parking Lot, a large round building reminiscent of a ski lodge, which I initially thought to approach, but didn’t since it wasn’t shoveled out at all, and a smaller ski shop a little ways away-this is where you could rent skis, pay your trail fee, and get a map of their very impressive trail system. They also do offer lunch and snacks if you want to make a day out of it, which I was planning too, but by the time I made it back to the shop, I’d been out on the trails for 3 hours and was ready to get on a heated seat and start the drive home (I ended up stopping at a roadside hot dog stand called Fat Mike’s, which was glorious). I don’t think this was really necessary. 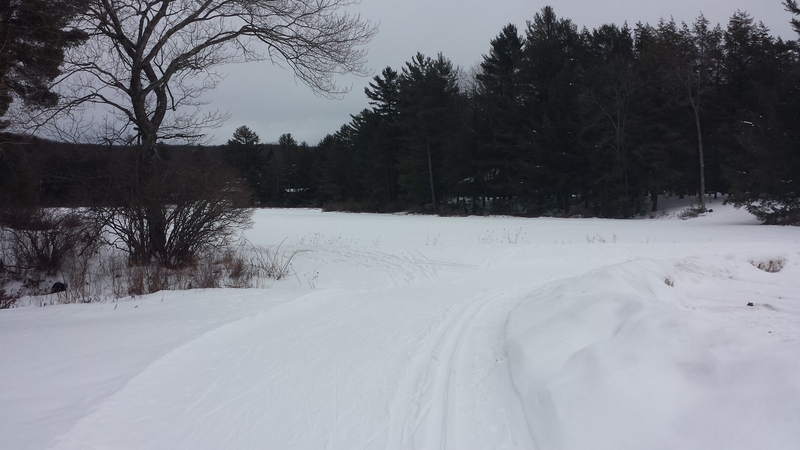 While XC skiing really is a fun sport to do with a group, it’s not a bad solo activity. I regularly pop in the Ipod and do quick skis at home, just to get exercise, and was planning on doing the same at Crystal Lake. I started my ski on the aptly named, Lake Trail, and it only took a couple of minutes before the camp was left behind, and I was solo skiing up the mountain, with only The Boss for company (and he ended up leaving me about 40 minutes into my ski-somehow my Ipod got stuck on repeat, and while “Darlington County” is one of my favorite workout songs, after the 10th or 11th time you’re ok with replacing that with the sounds of your own staggered breathing). First actual ski picture of the trip. While there are certainly easy trails to chose from (the map breaks down the hard, easy, and difficult trails), there isn’t a ton of flat ground at Crystal Lake, so you will be getting a workout-which is a good thing in my book. They also do a good job of picking which trails are one way so that, for example, on a crazy hill you’re not having people go up and down simultaneously. 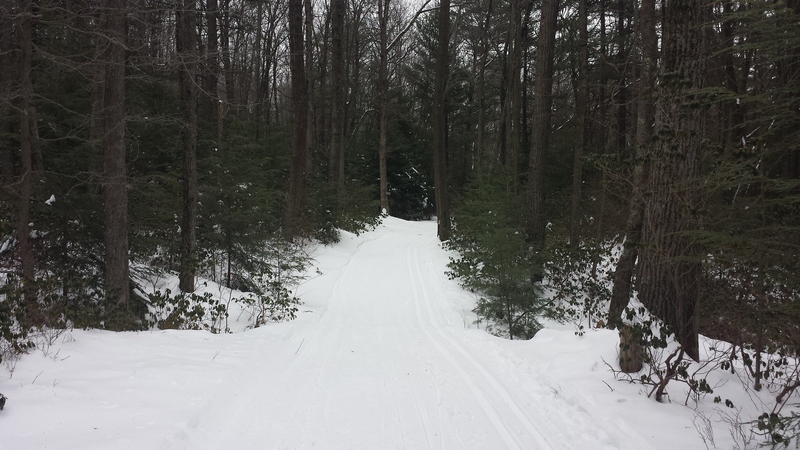 A large number of the trails are groomed, which is really nice. As someone used to predominately breaking trails, or following snowmobile tracks, I always forget how smooth and fast one can go on a properly groomed system. Some of the trails, and I’m not sure if this was a grooming technique, or simply the benefit of having many skiers in the same place, had two ski tracks, further dug into the grooming, which allowed for you to swiftly move down hills, without your skis going in either direction-it was really nice. You could view a trail map here. For those interested, I started off on the Lake Trail, which runs around the titular Crystal Lake, and then moved up the Big Step to Lake Ridge, and then the Birchview Trail, which might have been my favorite of the day, it was up and down, but gentle inclines, and hugged the side of the mountain-I think on a sunny day this would have been particularly breathtaking. Once I was done I was on the Whipple Mill for just a moment before joining the Wild Rice trail, which skirts the smaller Wild Rice Lake, and would be another great find for those of you who enjoy scenic vistas. The Boardpile Trail was a good uphill workout, but not too straining, while the Bear Creek Trail was a great respite with it’s gentle decline. The Hungry Bear trail, which I tried next, was the first “difficult” trail I encountered, and more than lived up to it’s reputation. There were parts of if that felt like I was skiing straight up, and if we’re being straight up, if the trail did not end when it did, I was just about ready to kick off my skis and walk. 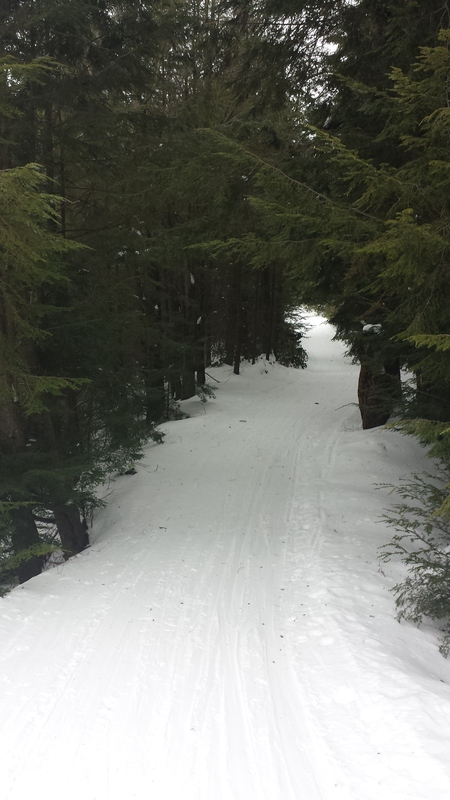 I then spent the majority of my afternoon on the Blue Moon Trail, which circumvented the outside portion of the ski center before traveling back down the mountain to the lodge. And I only fell once (but it was a real doozy)! I lost my map in said fall, so was a bit disappointed that I was unable to find my way to the former downhill slope, which I wanted to give a whirl, but that only means I have something to return for. All in, Crystal Lake lived up to the high expectations I had set for it, and I write this Friday morning, in a very sore (but in the good way) condition.